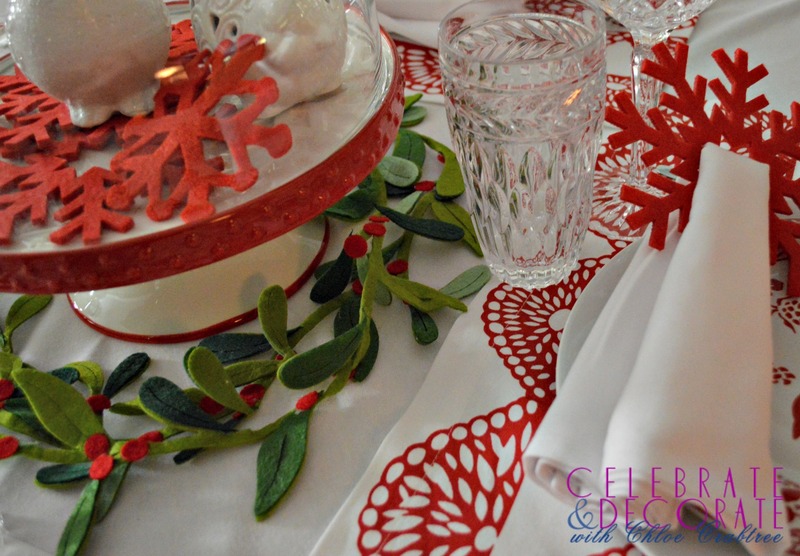 Once again, a plate caught my eye and became my inspiration for this simple red and white Christmas tablescape. I found these plates on clearance at Pier One Imports. One of those things that is such a deal, I just had to buy them. 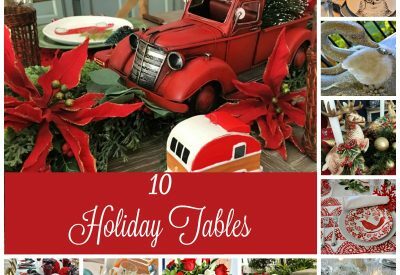 I loved the red and white and knew right away I would use these for a Christmas table. I saw these placemats and thought they would coordinate well with the plates. I don’t remember where I got them, but I like the look. This combination reminds me of Swedish decorating. 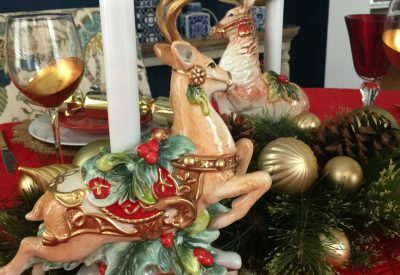 I didn’t want this to be a fussy tablescape, I imagine this would be a lovely Christmas morning tablescape. To me, this isn’t an elegant table, but a welcoming one. 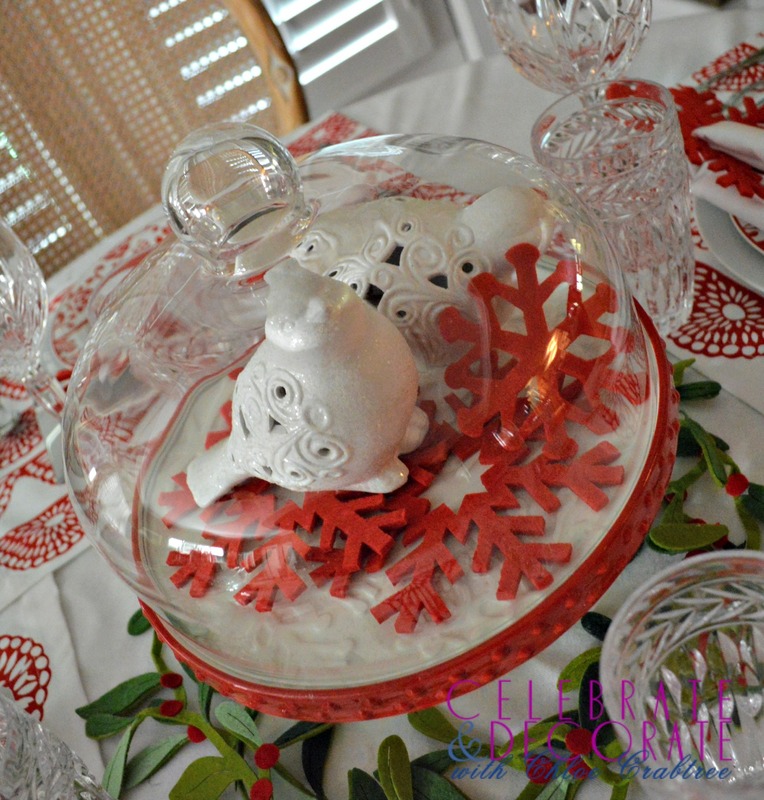 This cute cake plate with a snowflake pattern on it seemed like the perfect centerpiece. I tucked some red felt snowflakes under the cover and nestled two white ceramic birds onto the snowflakes. 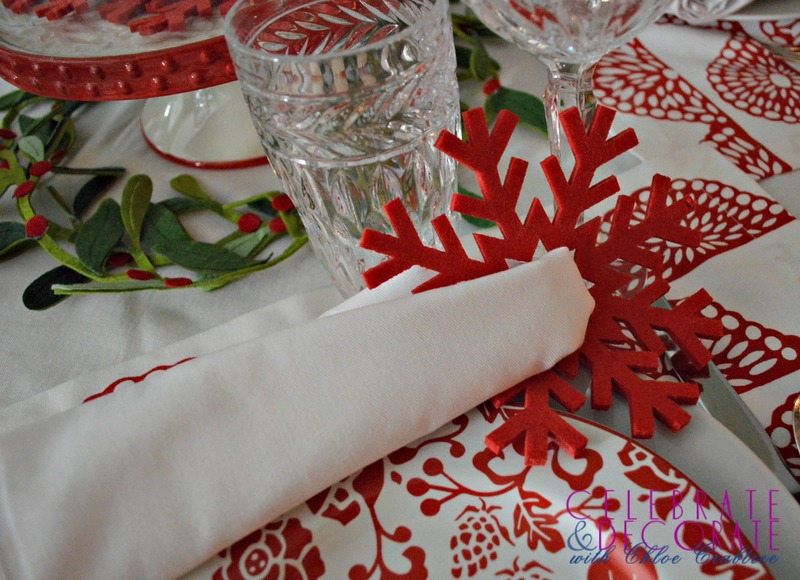 In keeping with the snowflake pattern, I used a felt snowflake ornament as a napkin ring. I rolled my white napkins tightly so they would fit into the snowflake and then folded it over. When I thought I was finished, I felt like the table needed a little something more. 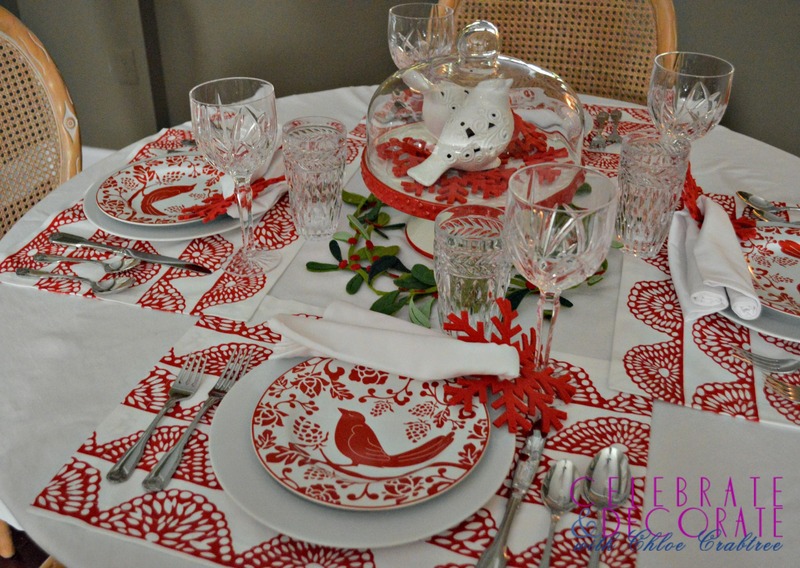 Even though the red and white patterns were bold and a great contrast, the table looked a little bland. 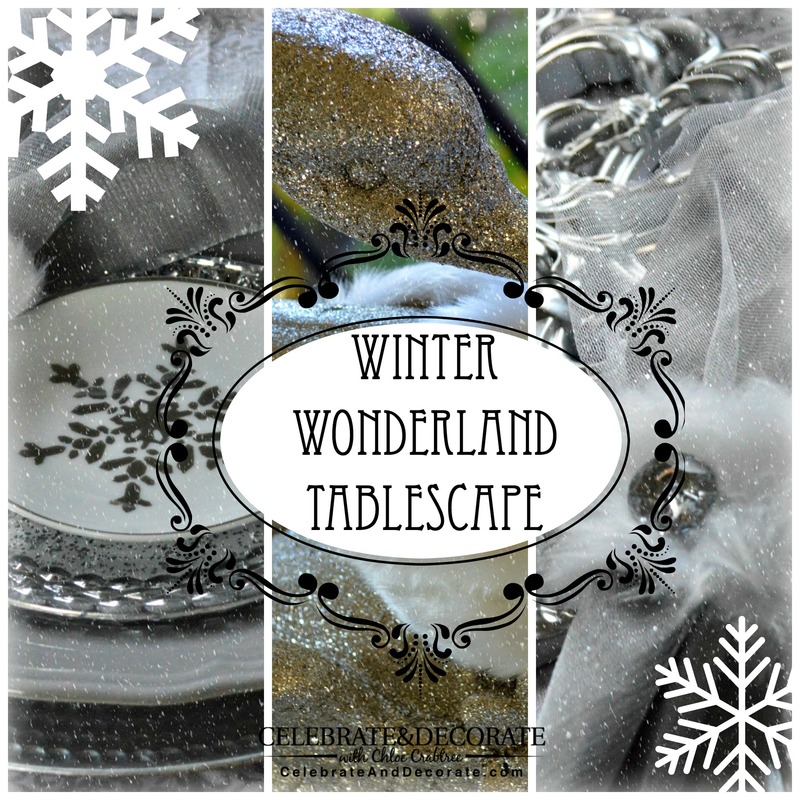 I had picked up a couple of these felt mistletoe garlands at Target thinking I would use them to trim gifts, but since they were felt, they mixed perfectly with the felt snowflakes, and added enough contrast to give the table the “oomph” it needed. I would love to welcome my guests to this table on Christmas morning, wouldn’t you? 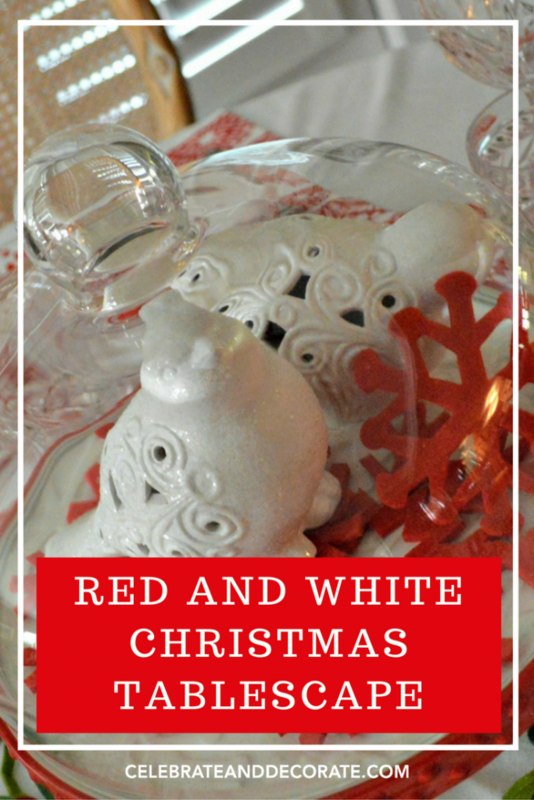 Stark red and white are favorite Christmas decor theme–love the Scandinavian look! Thanks Paula, I fell in love with the dishes and the rest was easy! Not fussy at all and very charming! It’s very seasonal without overdoing the theme. 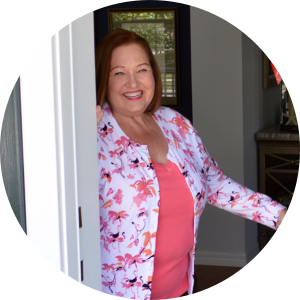 You have a very light hand when decorating and know how to pull the look together. Beautiful! I have those same Pier 1 dishes in the yellow-gold, and I love them! I think I’ve only used them once (crazy! ), but I do love them. You’ve inspired me to give them another peek at the world! Cute cute Chloe! Love the birds and snowflakes under the dome! 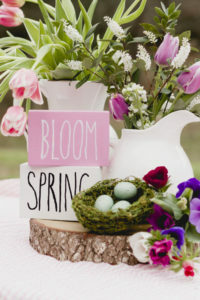 What a beautiful tablescape, so festive!! Happy Holidays!!! 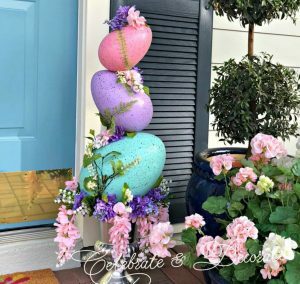 Thanks so much for sharing on The Oh My Heartsie Girls Wordless Wednesday this week!! This is sooooo beautiful!! I’m totally in love with the plates! It looks great! I love how you found so many red snowflakes for the theme. 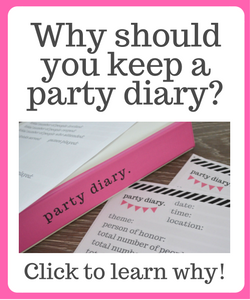 Co-hosting Oh My Heartsie Girl WW linky! Thanks for linking up! A beautiful setting! 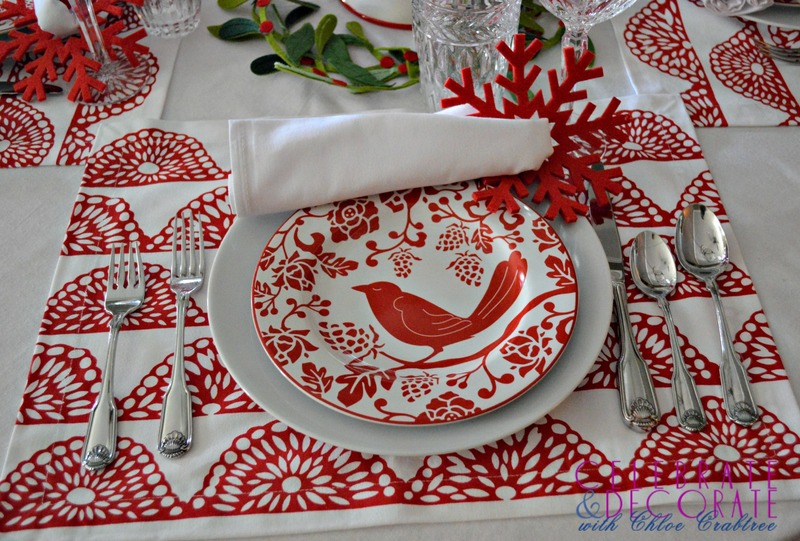 I love the pop the red place mats and plates give the white tablecloth and napkins!